Facebook today formally announced a long-rumored deal to acquire Microsoft’s Atlas Solutions division today and that its interest in the technology stack boils down to measurement. Ad Age previously reported that Facebook had agreed to buy the ad-serving business, which Microsoft had busily been seeking a buyer for over the past six months. Microsoft has acknowledged that it’s looking to focus on developing the ad business for its owned and operated products like xBox and Windows 8, not on its ad tech. The deal price was not disclosed, and the parties would only say that a “commercial agreement” will be put in place whereby Microsoft will continue to buy its own ads through Atlas. The price had been expected to be less than $100 million, based on prior bids for Atlas, which were in the $30 to $50 million range. 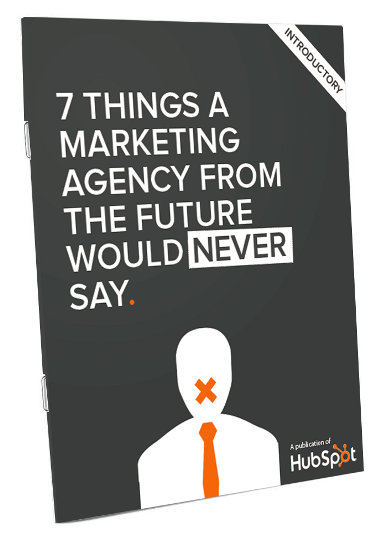 Parts of this post are excerpted from our brand new ebook, 7 Things a Marketing Agency From the Future Would Never Say. If you’d like to learn more about the changing landscape of digital marketing and how marketing agencies should be prepared to adapt, download your free copy now! It’s not the easiest time to be a marketing agency. While some agencies have survived the slashing of marketing budgets that forced many agencies to close their doors over the past several years, many are still struggling to stay afloat amidst a transformational shift taking place in the marketing industry. According to a 2012 study conducted by the Chief Marketing Office Council, only 9% of surveyed senior marketers “believe traditional ad agencies are doing a good job of evolving and extending their service capabilities in the digital age,” whereas 22% believe their agencies are struggling to transition their business models and service offerings. 51% of the 250+ senior marketers surveyed think their agencies are “playing catch-up” — bolting on different aspects of digital marketing without taking an integrated approach. The good news is there is a new wave of agencies emerging to meet client demands for measurable marketing. The bad news is there are still plenty that are terrified of throwing away everything that worked for them for decades, in exchange for what works today — and what today’s clients are demanding. So this post will dive into 9 of those things that agencies are getting away with now … if they’re lucky … that aren’t going to cut it pretty darn soon. Keep reading to see if there’s anything your agency could be a bit more up to date on. Brands want to work with agencies that practice what they preach. Lacking a fantastic social media presence, a blog, and some irresistible content to fuel a solid story about how your agency attracts new business through inbound channels is one surefire way to look and feel like a real doofus in an upcoming pitch. Furthermore, prospective clients are getting smarter. They Google. They check out your website. They’re looking to see if you walk the walk, not just talk the talk. Any agency that says they just don’t have time to do marketing for themselves is effectively telling their prospects and clients that the services the offers … well, the just aren’t that important. I mean, you get along just fine without doing it, right? Agencies, be your own best case study. You’ll see your sales cycle shorten, and clients become ardent evangelists of the work you’re doing. If you need help marketing your agency, download this free, comprehensive ebook, The Ultimate Guide to Marketing Your Agency. So what? Agencies that want to retain clients must constantly reinforce their value, beyond fulfilling the basic scope of work requirements. One way to do that is showing you’re capitalizing on great opportunities to drive results as they come up, and real-time marketing is one of those opportunities in this fast-moving digital world of ours. It’s critical future agencies are listening to what’s happening on the web for their clients, and getting proactive about finding ways to quickly capitalize on it. Agencies that aren’t equipped to do this should get used to hearing a lot of, “Why didn’t we newsjack this?” phone calls really, really soon. Agencies have to have the power to turn away business that’s not the right fit. They also have to learn to be the General, not the order taker. It’s to everyone’s benefit — client and agency alike — that there’s a solid qualification process in place before anyone signs on the line that is dotted. Poor client-agency fits result in wasted time and money for both parties, and sometimes even a subsequent reputation management issue when a client leaves unhappy. The right client fit is so crucial because the burden of success is not entirely on the agency. The client must be invested in the relationship, too. Clients who view an agency as an “outsourced” vendor don’t get it, and aren’t going to be available to provide agencies with the resources and information they need to do great work on their behalf. Clients who view an agency as a true partner, providing the agency a 360-degree view of their marketing plans … they get it. Agencies of the future will be onboarding clients invested in true collaboration. That means both parties are available, have clear and (relevantly) frequent communication, and take action and have trust in the agency’s recommendations. There may always be a market for creative shops that only sell one breadcrumb of the entire branding pie, like a website redesign or a logo revamp. But marketers who hire firms to change the world’s perception of their brand are signing up for a whole lot more. Actual data that proves that the desired shift took place is required. That broadens the branding discipline to encompass how consumers perceive a company’s brand promise, both online and off. 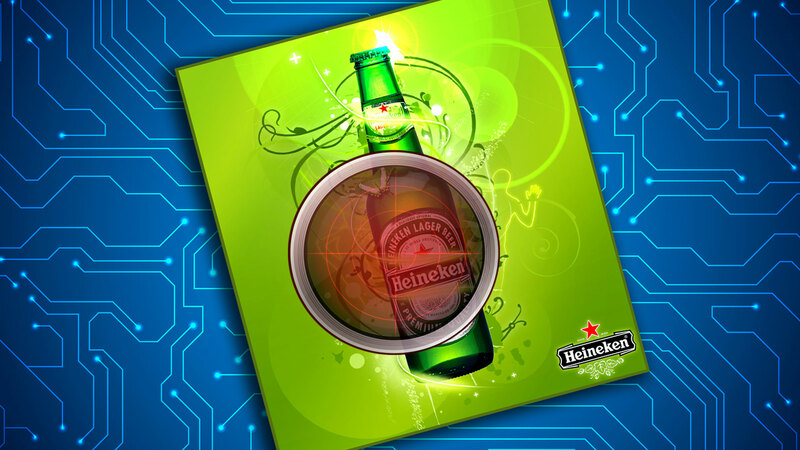 The way consumers experience a brand via one of the brand’s web properties (website, blog, content, social media sites). Avant-garde marketing agencies understand that their creative ideas are only as good as how far they spread and what impact they make, so all the pretty things they make must be promoted through digital distribution and measured with closed-loop analytics. That way, you won’t just have pretty pictures to point to as a support for all your hard branding work. For more help defining and managing a brand — and yes, even putting numbers behind your branding work! — download this free ebook, The Ultimate Guide to Branding in the Inbound Age. Let’s get this straight: there are two parts of SEO. First, there’s the practice of ensuring a website is technically sound so search engines can actually index all of a website’s various pages to later display them in search engine results pages (on-site optimization). Second, there’s the practice of ensuring on-page content is so freakin’ fantastic and up-to-date that search engines want to rank them higher than all other pages containing similar, but less helpful information (off-site optimization). Off-site optimization is heavily influenced by blogging (more authoritative pages to index and link to) and social sharing (the more an article is shared, the more authoritative it may be considered). Although a whole boatload of inbound links may help a site rank higher in search engines, the inbound traffic resulting from that visibility won’t do much good if the website’s architecture isn’t optimized to convert visitors into customers. Marketing agencies have to address both sides of the SEO coin not only to make the biggest impact for the client, but also to ensure that if ranking algorithms undergo some uber significant change, past optimization efforts won’t all be for naught. If your agency isn’t equipped to offer technical SEO services, that’s okay. Just be honest with your clients, and let them know it’s wise for them to invest in some contract work — and have some good referrals for them to get started with. When your agency rocks at marketing itself through inbound channels, something amazing happens: your personality, your thought leadership, your client stories, and your past work do much of the selling for you, without having to waste your best talent on an expensive and time-consuming RFP processes that may not actually win new retainer business. In order to stabilize cash flows, agencies must rely less on crossing their fingers after giving away some of their best ideas in an ultra-competitive pitch, and instead put their best ideas to the test on their own agency marketing. Next gen agencies let the vast majority of potential clients knock on their door, and enjoy the benefit of getting to turn away clients that really aren’t the right fit, rather than adding them to the roster just because they’ve gotta make payroll. Here’s the thing about marketing nowadays: it moves fast. As marketers, our ability to reach consumers and achieve results relies on our speed and agility. Managing your files and ideas in the cloud is one way to ensure your team can get their work done no matter where they are, without having to triple-check that they emailed themselves the latest version of the social media monitoring report they didn’t finish at work that day. Not using cloud technologies like file sharing, note-taking, and collaboration tools to manage client work slows down production and the client ends up paying for those inefficiencies in the form of added billed hours. And if a client ever wants to see this kind of documentation, it shouldn’t require hours of manual labor for your team to pull together. Buyer personas have to be the logic behind every campaign. Every marketing effort will (or should, at least) align with the wants and needs of your buyer personas. What sometimes happens when new clients come on board, though, is an over-eagerness to get started with all the fun stuff in your scope of work. (Agencies and clients are both guilty of this.) The agencies that retain clients, however, are the ones that recognize the necessity of creating well-developed buyer personas for their clients. Because these personas will be the basis of your ability to create effective marketing campaigns and collateral going forward. If you need help developing buyer personas, check out this free template that will help you get started. There’s a tendency among many marketing agencies to keep their methodology hush-hush for fear of revealing any secret sauce that could make them dispensable to clients. There’s a common belief that if agencies were to educate clients on, say, how to interact with customers via social media, or how to write a compelling blog post, that they’ll take their marketing in-house. In reality, lack of transparency with clients doesn’t entangle you further; it simply results in a lack of trust, and clients that are further away from understanding the value of the work you do. Showcase how smart you are. It helps clients justify paying the monthly retainer cost to keep you around. The more clients understand the importance of the inbound marketing methods you sell, the more they’ll be able to appreciate the marketing services you offer. They’ll still need you, because not only is the work you do for them amazing, but because you’re a trustworthy subject matter expert. There’s always something new in the digital marketing landscape, and you’re the one figuring it out for them, and keeping them up to date on it. The more you educate, the more your client can trust you — that leads to more business and more control, not less. What else do you think marketing agencies should be preparing for — or are already behind in? We live in a multi-screen world where people are constantly connected and moving seamlessly across devices. Not only do mobile devices keep us connected anytime and anywhere, but they play an increasingly important role in shopping, both online and offline. With mobile, consumers no longer just take linear paths to purchase that begin and end on the same device. Instead, there are a range of customer journeys – like starting on a smartphone and ultimately buying in-store, continuing on a different device, or making a phone call. Being locally relevant is key for any brick and mortar business, and adidas worked with its agency iProspect to leverage mobile’s power to reach local customers. They recognized that in order to build an effective mobile presence, they had to pivot their thinking to understand how mobile drives value beyond mobile commerce, particularly in-store sales. “If we look at a 1:1 response or 1:1 measurement of what our media budget is driving on a mobile site, we’re missing a big part of that picture. As performance marketers, a lot of the times we look at direct responses, and what mobile is requiring us to do is redefining direct response,” says Kerri Smith, head of mobility at iProspect. adidas and iProspect partnered to estimate the value of each store locator click on their mobile website. Based on internal benchmarks, iProspect theorized that 1 out of every 5 people who visited the mobile site store locator page went into an adidas store. In-store conversion data from adidas indicated that around 13% of shoppers who go into stores completed a purchase, and that their average order value is $71. Since an active search usually demonstrates stronger intent to purchase, iProspect applied a 20% conversion rate and an $80 average order value. As a result, they determined that 4% of the people who clicked on a store locator translated into an actual sale for adidas, meaning that each store locator click is worth $3.20. To fully understand how mobile drives in-store sales, RadioShack collaborated with its agency Mindshare to redefine mobile success: “User behavior is much different on smartphone compared to the desktop experience. It became obvious that to be successful, we had to measure mobile performance by focusing on different criteria,” says Lisa Little, Search Marketing Manager at RadioShack. Facebook is formally announcing its partnership with data behemoths Acxiom, Epsilon and Datalogix to target ads to users based on their recent in-store purchases. Ad Age reported last week that the social network was already beta-testing the product — which will enable brands to match data gathered through shopper loyalty programs to individual Facebook profiles for ad targeting on the platform — with top agency partners like OMD. Aimed at CPG marketers, it would hypothetically would enable Pampers to deliver ads to Facebook users who have recently purchased baby products, or Coca-Cola to market to teenagers in Atlanta who’ve bought soda in the past month. The targeting will function through anonymized matching of loyalty-program members and Facebook users through email addresses and phone numbers. Holders of loyalty cards from retailers are asked for their email or phone number when they register, and Facebook users sign into the site using one or the other, and a match between two corresponding data points needs to be detected to enable delivery of an ad.